Magic of Morocco: A Celebration of Moroccan Culture in Washington D.C.
Home Culture The Magic of Morocco: A Celebration of Moroccan Culture in Washington D.C. 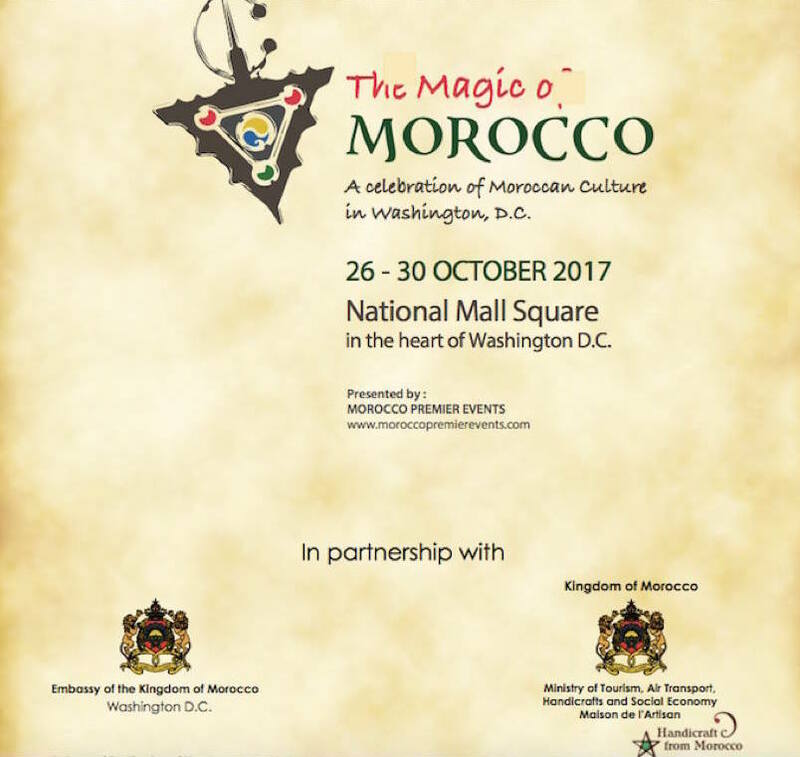 The Magic of Morocco: A Celebration of Moroccan Culture in Washington D.C.
Washington D.C. – A celebration of Moroccan Culture will take place October 26 to 30 at the National Mall Square in Washington D.C.
“The Magic of Morocco” will showcase the historical and intricate relationship between Morocco and the United States, a history that dates back to 1777 when Sultan Mohammed bin Abdellah recognized the independence of the US. This event will highlight Moroccan history, honor women who contributed in Moroccan society, culture and industry, and celebrate the longstanding history between the two countries. 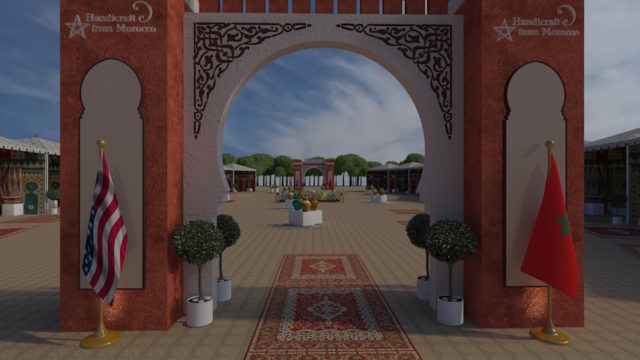 From 10 a.m. to 6 p.m., there will be a group of tents that showcase traditional Moroccan crafts in order to show the beauty and creativity that Moroccan arts exhibit including wood carvings, pottery, leather, iron work, and textile production. There will also be a shelter in the main tent that will demonstrate the accomplishments of the kingdom in developing its historic cities and countryside. The opening ceremony took place on October 26 with a flag ceremony, followed by a welcoming glass of milk and dates. After a tour, visitors were treated to a desert tea ceremony, desert music, and desert cuisine. The event also features musical entertainment, with a celebration of Saharan music and performances including a women’s Gnawa ensemble, a musical form brought by sub-Saharan African slaves to Morocco that has since developed into a characteristically Moroccan folk tradition. Lastly, the festival is hosting a photo gallery and a video presentation of “The Magic of Morocco” as well as documentaries that showcase the regional leadership of Morocco and its rapid development in different areas of Moroccan society. This event is being held by the embassy of Morocco and Morocco Premier Events.